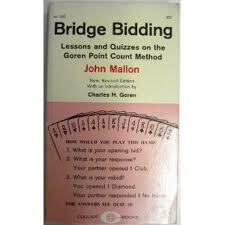 "Bridge Bidding-the Goren Point Count Method" by John Mallon. This is an easy-to-follow bidding guide containing 29 lessons and 36 quizzes. "Bridge Endings" by Raphael Cioffi makes the end game look easy with 30 common basic positions, 24 endplays teaching hands, and 50 double dummy problems. Notrump Bidding the Scanian Way (Swedish Expert Methods, Volume Two)" by Magnus Lindkvist fully describes the sequences which are briefly defined in this website at the link - Swedish responses to 1NT. "Highroad to Winning Bridge - Do You Play Stayman?" by Samuel M. Stayman. The Stayman Convention developed by the author is probably the most popular convention in bridge and is standard equipment throughout the world. In this book he explains how to get best results from the new bidding tools. 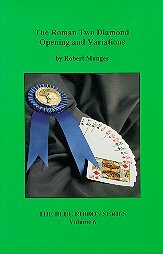 "The Roman Two Diamond Opening and Variations" by Robert Munger is an updated (2006) publication that discusses all of the popular 2♦ opening methods including Roman, Mini-Roman, Precision, Blue Team, Roman-Acol, Flannery and many others. Split Roman 2♦ is explained in detail, including interference and a partnership quiz. "Improve Your Declarer Play in Trump Contracts" by Ron Klinger. In this book Ron Klinger shows you how to make the most of your assets in trump contracts. When is it right to draw trumps, when to delay, when to cross-ruff and many more topics are covered to make you a better declarer and make that extra trick or two give you a top score. 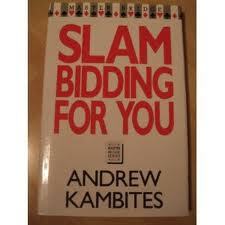 Slam Bidding for You" by Andrew Kambites looks at slam bidding, an area in which, on occasion, most bridge players find themselves at cross-purposes with their partners. The book aims to provide a coherent and logical system, not attempting to describe every possible variation of slam bidding, but giving a framework of principles against which difficult sequences can be assessed and dealt with effectively. The text is backed up with detailed examples. 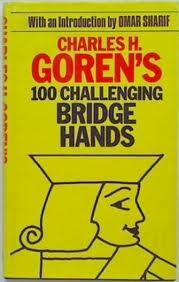 "Charles H. Goren's 100 challenging bridge hands for you to enjoy". Test your skill against the master's winning way to play and defend. There are 50 declarer and 50 defense problems. They are tricky, but not very hard, like some of Hugh Kelseys problems. The emphasis is on visualization, not squeeze play. You need to think ahead and look at pitfalls. A solid intermediate level book. "Cappelletti Over No Trump" by Michael Cappelletti and Edwin Lewis. Cappelletti (also called Hamilton and Pottage) is a contract bridge bidding convention used to intervene over opponent's 1NT opening. Its invention is attributed to Michael Cappelletti and his longtime partner Edwin Lewis. The range for Cappelletti overcalls is 9-14 points as one generally doubles (penalties) with more. How to Win at Poker and Bridge" by Byron Jacobs and Sally Brock. Poker and bridge are, for different reasons, widely regarded as the greatest card games. Poker is the classic game of awareness, psychology and nerve, while bridge rewards the skills of logic and deduction. In this book we will be examining these games and revealing how the best players plan and execute their strategies. "Super Standard American" by Roger Means. 'This book has some new and interesting concepts and should be lots of fun to play' - Fred Hamilton - ACBL hall of fame. Even advanced partnerships will appreciate the simplicity and effectivness of the Super Standard American biddinf system. The system is clear, teachable, and easy to learn. It is a powerful tool to arrive at the best contract without being pushed around. "Bridge a la Carte" by Ivan Erdos. Excellent read. Three 3 Big Sections : Behind the Scenes Hand to Hand Combat Popular Convention Guide [a Card Game Players handbook/illustrated Guide, Techniques, Methods, explained] A good book to enjoy and keep on hand. 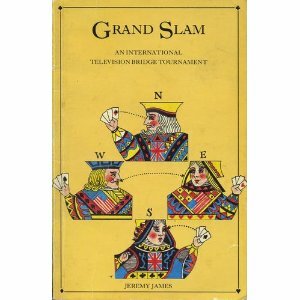 "Grand Slam" by Jeremy James is the book of the 1981 BBC television international bridge tournament Between the United Kingdom and the United States. 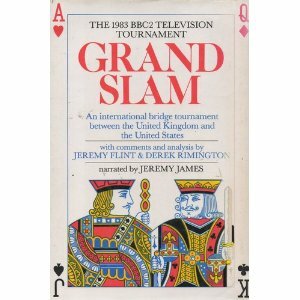 "Just Plain Bridge: A Book for the Average Player Who Would Like to Play Better Than Average" by. Ned Downey. The PERFECT BOOK for those who feel they are taking less tricks than they should. Those who frequently end up in the wrong contract. Those who just know their opponents should not be making so many of their bids. The aspiring student. Those who enjoy a little humor with their learning. The AVERAGE PLAYER (who would like to play better than average). 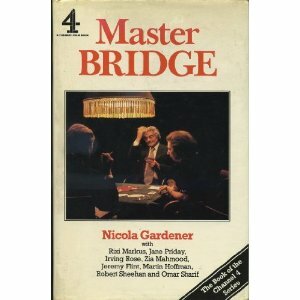 "Master Bridge" by Nicola Gardner is the book of the 1983 Channel 4 TV series; featuring Rixi Markus, Jane Pridday, Irving Rose, Zia Hahmood, Jeremy Flint, Martin Hoffman, Robert Sheehan and Omar Sharif. This book is the sequel to "Problems in Play: First Book of Bridge Problems " by Denis Priest. Both give 100 problems of varying difficulty that are all interesting and have instructional value. Challenging to the expert as well as the novice. "Knave of Hearts" by Geoff Lacey is a a selection of entertaining and instructional accounts of hands from duplicate bridge games. Over-the-shoulder descriptions of hands played by a new author. Wry, amusing and thought-provoking, containing plenty of good bridge, good writing and good fun. For improving and intermediate players. B1, B2, B3, B4, B5, B6, B7, B8, 1, 2, 3, 4, 5, 6, 7, 8, 9, 10, 11, 12, 13, 14, 15, 16, 17, 18, 19, 20, 21, 22, 23, 24, 25, 26, 27, 28, 29, 30, 31, 32, 33, 34, 35, 36, 37, 38, 39, 40, 41, 42, 43, 44, 45, 46, 47, 48, 49, 50, 51, 52, 53, 54, 55, 56, 89, 98, 99.